Model: The car is painted and decorated for Easter. 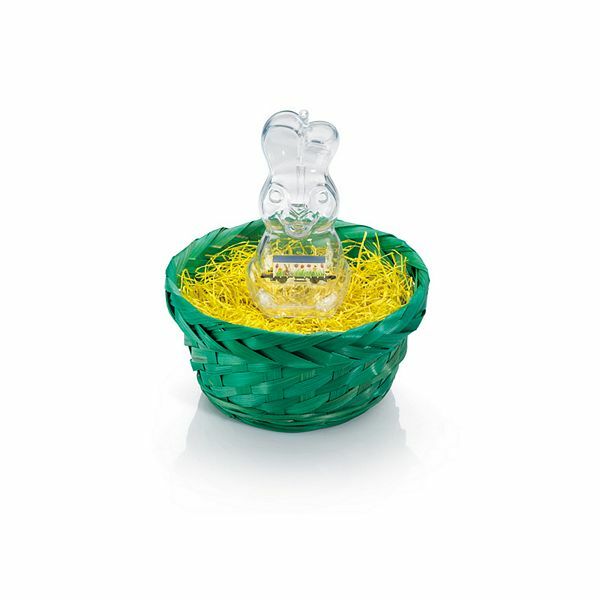 Delivered in a transparent Easter rabbit in a green Easter basket with yellow Easter grass. Length over the buffers 40 mm / 1-9/16". One-time series only in 2018.